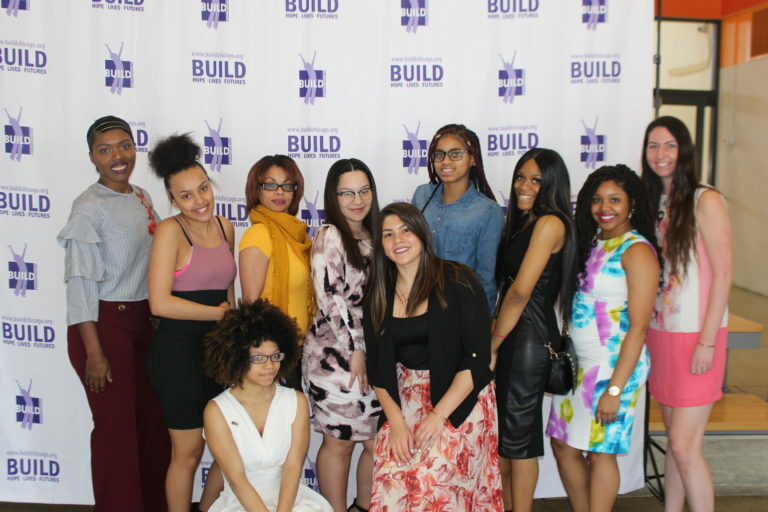 BUILDing Strong Young Women - BUILD, Inc.
“It’s not safe like it used to be,” Keshayla said of growing up in of Chicago. “It’s like everybody’s just dying and getting killed.” At 19, she has experienced the violence first-hand, and she is not alone. Now, Keyshayla is one of 60 pioneers in BUILDing Girls 2 Women (BG2W), a pilot launched in 2017 to focus exclusively on the highest-risk teen girls who experience the most painful trauma. BG2W combines intensive mentoring from women who have experienced the same challenges with regular counseling with trained professional therapists. A ‘sisters-only’ approach creates safety to tackle tough problems like gang involvement, sexual abuse, financial exploitation, and the physical and emotional damage of violence. Group experiences teach skills like teamwork, anger management, or how to build healthy relationships, while creating a ‘Sisterhood’ support group that continues long after the core program is completed. One highlight was a formal International Women’s Day brunch that doubled as a graduation ceremony for our first Orr High School participants. Getting the girls out of their everyday school atmosphere was a valuable learning experience. While still a pilot, early results are encouraging – PTSD scores for our first cohort decreased an average of 18 points on an 80 point scale. 82% reduced school suspensions and other major discipline actions. 100% of court involved girls avoided recidivism, and every participant reported making better decisions. Participants also learned to become their own advocates — appearing in radio and television stories as well as a recent mini-documentary “Hear Her Voice” produced by Free Spirit Media and the Pulitzer Center. Philanthropic Fund, Strides for Peace, and an Anonymous donor.